Iran's development will face two major challenges in the years to come: 1) employment of younger generations, and 2) adjustment of the rate of growth through encouraging domestic and foreign investment. 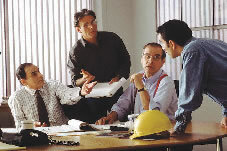 Economic growth must be so programmed that it will meet the nation's need for jobs and employment despite population growth; growth in women's participation in the labor market; and higher productivity which - in contradiction to the need for raising the number of jobs - means cutting down on the number of people engaged in doing each task. The rate of growth, on the other hand, must be in line with potential and existing capacities towards turning Iran into the strongest economic power in the region. A high rate of growth - although declining - of the work-age population with an increasing participation in the market by the female workforce. An increase in the number of young, educated and skilled workforce with a rapidly rising proportion of employed women. 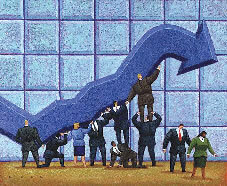 A potential growth in the productivity of the workforce as a result of economic growth in line with global developments. The question that now presents itself is whether continuing the trends followed during the past 25 years can be effective in overcoming the challenges we have ahead of us? The Iranian economy, infl uenced by external and internal factors, has so far not been able to achieve longterm economic growth or longterm sustainability and stability. The country's performance during the three development plans that spanned the period 1989 to 2004, (with the third still running), has resulted in average growths of 6.3%, 3.3% and about 5.5% per annum, respectively (the last being the average of the fi rst three years of the Thirds Plan). Now, taking into account that Iran's economic growth during the fi rst decade or so after the Islamic Revolution was -2.2% we conclude that during a quarter of a century average growth has been 1.7% per annum while annual population growth stood at 2.7% on average which means an average 1% per year decline in per capita income. In a study carried out by the Management and Planning Organization of Iran to predict Iran's economic situation in future, Iran's performances have been assumed to be those of the decade 1991-2001 when Iran's average annual GDP growth was 3.9% higher than in any country in the Middle East or even North Africa (the next highest being Turkey with 3.5%). Even so the study indicates that during the said period Iran's unemployed will increase in number from 2.6 millions to 5.2 and infl ation will average 22% and that eventually the country will face a foreign trade defi cit of 20 billion US dollars. By best use of the country's main resources, relying on human resources development, enhancing investment opportunities, expanding capacities for attraction and application of knowledge and new technologies, favorable ground would be prepared for sustainable growth, free of infl ation and self-generating. The M&PO came to the conclusion that to make these achievements possible the economy must grow by an average of 8% during the Fourth Plan and 8.6% during the Fifth Plan. But how can this be achieved? To attain these objectives the nation needs stability and assurance, in trade and economy particularly. We need an economic environment that is reassuring and that encourages investment and hard work, a small but effective government at the service of the nation, a balanced budget, a stable rate of exchange etc etc. We must create conditions in which competitions are encouraged on the basis of the best use of comparative advantages, to allow producers to penetrate world markets and also compete at home without the benefi ts of protectionism and subsidies. We need to develop our agriculture within the framework of maintaining sectoral stabilities, judicial security and social justice. We must institutionalize the various appropriate organs to facilitate exchanges; respect private ownership and contracts, and reduce the role of the state in the economy and trade; modify public institutions, and appoint worthy, effective and caring governments. 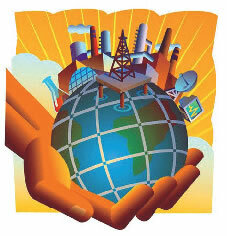 During the two decades of 1980s and 1990s there emerged fantastic new opportunities for developing countries. In these two decades a number of countries that had been in the same as or worse conditions than Iran at the end of the 1970s, managed to make great achievements through adopting the right policies and strategies, and by largely increasing their GDPs. Today, we witness that China, South Korea, Malaysia, Indonesia, Mexico, Thailand, Taiwan and even Turkey have managed to attain high levels of growth, per capita income etc and overcome many obstacles that Iran is bogged down with at present. A comparison of Iran's exports with those of these newly industrialized nations and their economic-industrial conditions reveals that we have been left behind the caravan of truly developing countries. It is true that Iran's total exports (crude oil and non-oil) has doubled over the period 1980- 2000 and that our non-oil exports have increased in value from 645 million US dollars in 1980 to 4,119 millions in 2000 but these rises are quite insignifi cant in comparison with the achievements of the newly industrial countries. Let's take their exports in 2000 for example: China 249.3 billion USD, South Korea 172.2, Mexico 166.4. These levels of exports could not have been at all possible without their joining the world market, producing goods up to international standards, attracting buyers across the world, and cooperating with foreign economic agencies. It is noteworthy that while foreign investment in Iran decreased from 2,609 million dollars in 1980 down to 2,115 millions in 2000, foreign investment in the countries mentioned above expanded staggeringly. In the same period workforce productivity in Iran fell by 29% from 9,310 dollars to 6,610 while it increased two-fold in Malaysia and Thailand, and 3.5 times in Hong Kong and four times in South Korea. Such rises in human productivity cannot have been possible simply through hard work but they indicate industrialization, advanced technology, and effective corporate sector management. Furthermore it is not enough to produce: the products have to be sold and here comes effective marketing and cooperation with international companies. Yet Iran is situated at the heart of energy and trade and has access to 18 countries through land or sea borders, nations that total almost 500,000,000 people. It has enormous natural resources, many young educated people seeking jobs… and all the rest of the story that we have heard or said time and again. We need to join the world market; we need to attract enormous investments, the high technology of the day, the latest machinery and, above all, effective modern management.